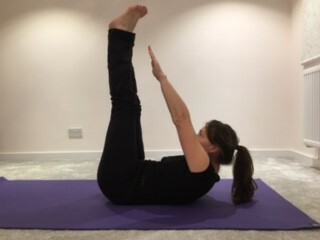 I work with horse riders to help them gain a better understanding of how their own body stability and core strength can have a significant impact on their horse’s way of going. Good core strength is fundamental to effective riding in terms of application of the aids and balance with your horse. Doing a series of exercises regularly can help to build up your core strength and make you a more effective rider. Providing you are in good health and have no related or concerning medical conditions, a short daily routine lasting just minutes pays dividends. 1) Lie on your back then, with small movements, rock your knees to your chest for a count of 20 seconds. 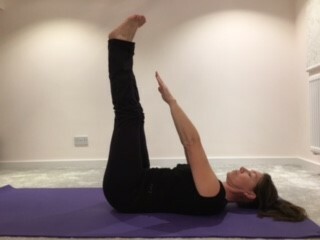 2) Remain on your back and raise your legs 90 degrees to your body, then stretching your arms diagonally towards your feet, make small stretching movements for a count of 20 seconds. 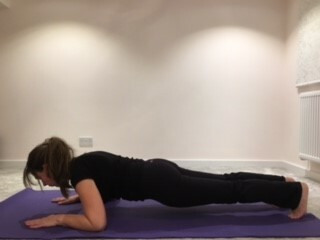 3) Turn onto your abdomen and adopt the ‘plank’ position keeping a straight line of support on your elbows and toes. Hold for 30 seconds. Begin gradually and only hold positions for as long as is comfortable. As you progress, repeat this sequence up to five times. The Secret of a Balanced Rider! Useful Riding Tips: Are you Sitting Straight?